You can now use Google Keep to add drawings to notes, but only in the Chrome app. Google says Chrome apps are disappearing from Windows, Mac, and Linux in just over a year, but in the meantime, it seems the company will continue to polish its collection of Chrome-powered desktop apps. 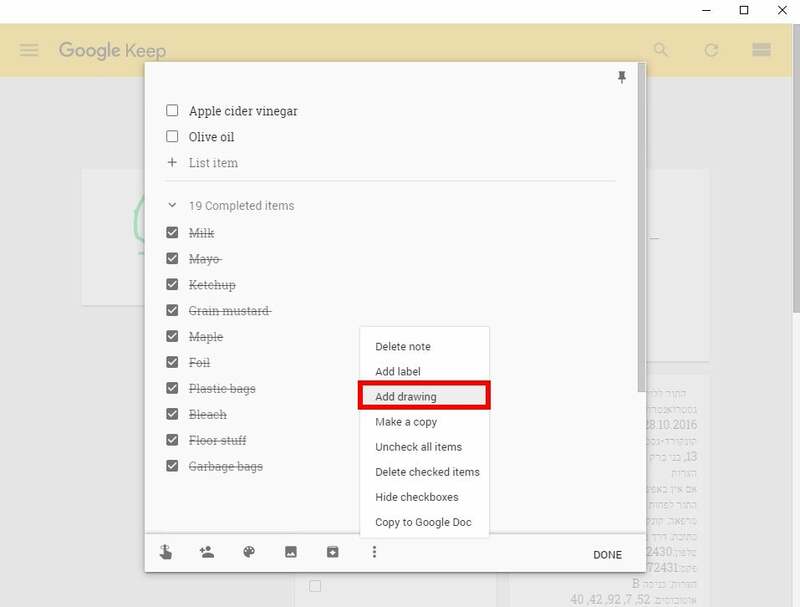 Case in point: Google just updated the Google Keep Chrome app with drawing functionality. Oddly, the new feature does not exist on the Keep web app; it’s currently only available for PCs via the Chrome Web Store. Keep for Android received the drawing feature in October 2015. 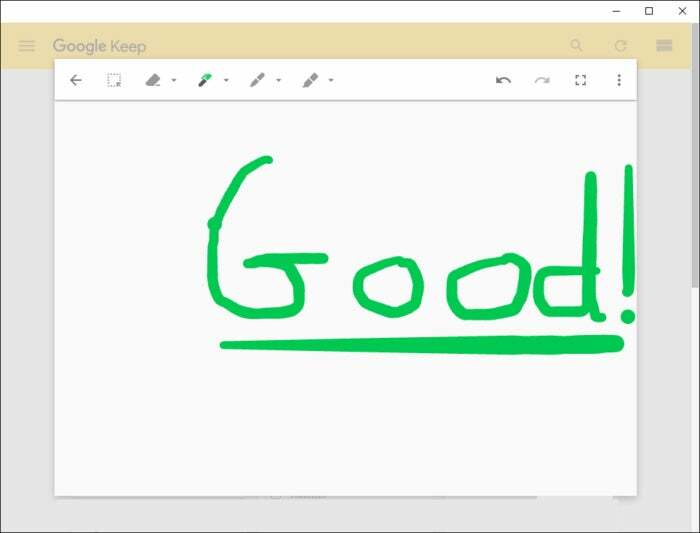 More recently, Google upgraded the Android version to convert handwriting created with Keep’s drawing feature into text. Keep’s new drawing feature in action. Using the Keep app’s new drawing feature is fairly easy. From Keep’s Create note menu at the top, tap or click the pen icon to start a note with the drawing feature. At the top of the new note you’ll see a variety of drawing options including a pen, marker, and highlighter with various colors. There’s also an eraser and a selection tool. Drawing in Keep’s overflow menu. You can also add a drawing to an older note. Open the note of your choice, click the overflow menu option (three vertical dots), and select Add drawing. The same drawing menu will appear with a blank drawing area. You won’t be able to see the rest of your note, but when you finish the drawing will be appended to the top of it. Drawing works with a mouse or touchpad, but the real appeal will be for anyone running a PC with touch—be it a Windows device or the growing number of Chromebooks with a touchscreen. The story behind the story: Updating the Keep Chrome app is a curious choice for Google. Every PC type except for Chromebooks will lose access to Store apps in 2018. That means the majority of users are going to lose the drawing feature if it’s not in the Keep web app within the next year. But even for Chromebooks the update is an odd choice. By the end of 2017, most newer Chromebooks should be running Android apps. That means only non-Android supporting Chromebooks will need to use Keep in Chrome. Google Play-less Chromebooks devices may be in the majority right now, but within a few years Chrome apps will become unimportant to Chromebooks—assuming the shift to Android apps on Chrome OS is a success, that is.